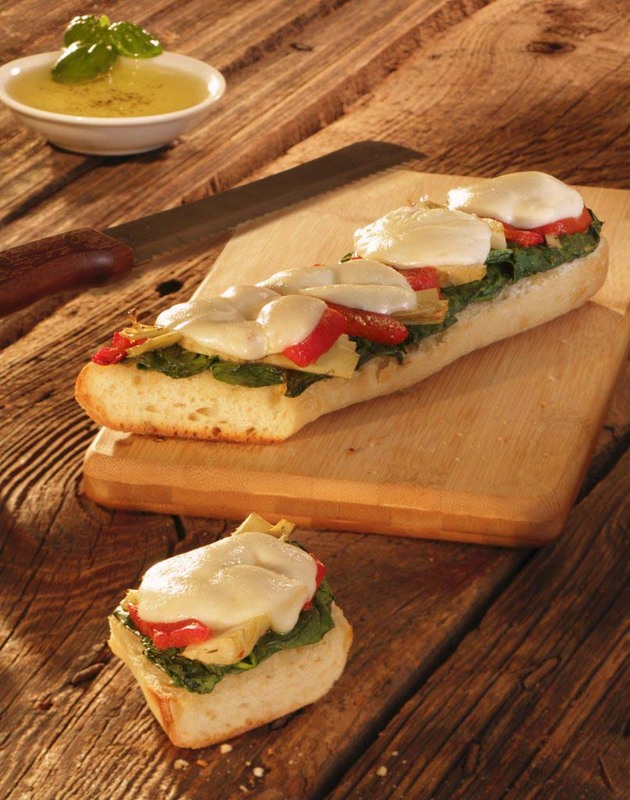 Brush bread with garlic olive oil, add spinach, artichokes & red pepper strips. Slice and add fresh mozzarella cheese. Place on baking sheet and bake for 15-20 minutes. Remove from oven and sprinkle fresh basil on top. Slice bread into desirable portions and serve.